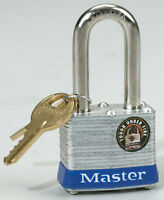 MASTER LOCK Padlock 1.5" Double Locking Laminated Steel 2 Keys Safety 3DLF NEW!! 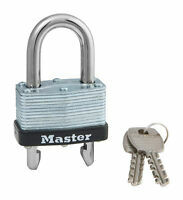 Padlock Body Shape: Rectangular Body Width: 3-1/4"
High Security: Yes Shackle Dia. : 5/16"
Immediate payment of US $23.11 is required.